This Friday sees the first of We Make London's twice a month appearances at Camden Lock Market where 30 designer-makers will be selling all sorts of wonderful one-off handmade items including homewares, ceramics, accessories, prints and jewellery. This hub of creativity can be found in the Middle Yard every first and third Friday from April 5th. There will also be a farmers market where you can get some great food direct from the makers, plus all the diverse shops and bars in the area. What's not to like? Hope to see you there (I will be trading myself... plug, plug!). 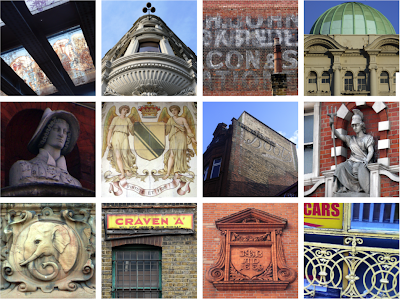 Below is a collection of my photos of details found in and around Camden Lock Market featuring, in particular, Camden High Street and Chalk Farm Road. Oh i really miss it,but i am thinking to come on coming Friday and do some Homeware shopping. By the way thanks for your opportunity to select early.